We respect and applaud Pat Narduzzi's decision to limit media access this week. After all, why would anyone be interested in what his players thought about the game? 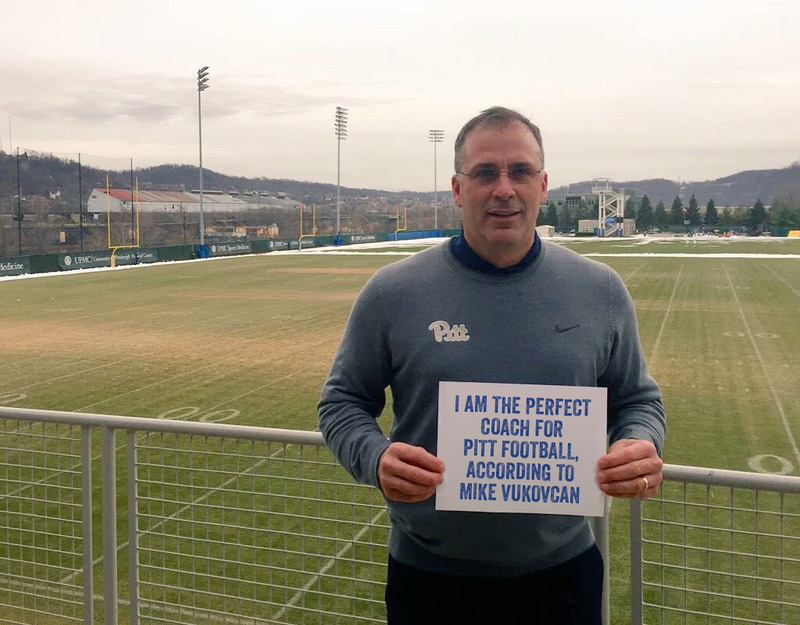 Fortunately, RLR got exclusive access to Pat Narduzzi's Thoughts About The Game, As Communicated Via Not Photoshopped Signs Held In An Empty Practice Field. Pat, please give us some insight into the game plan for Penn State, as inscrutably as possible. Ah, yes. Thing is, he didn't mention which brand of Big Ten football he preferred: Ohio State or Purdue. Pat, help us understand why you chose to restrict media access to your players this week. Yes, that's exactly how this works. It's not as if almost every single player on the roster has a Twitter to blast their thoughts out. Pat, what happens if Penn State wins this Saturday? Do you feel the temperature of your seat rising at all? Ah. Good point. Only problem is, I think you spelled Pitt's Athletic Director's name wrong.